Dinner At Xenri D'RiverView, Wisma Elken, Old Klang Road | wordspics.com , this one is located off the busy street of Old Klang Road (BM : Jalan Kelang Lama). Occupying 2 shops at ground floor, it is hard to notice this said restaurant due to almost non-existence of signboard. 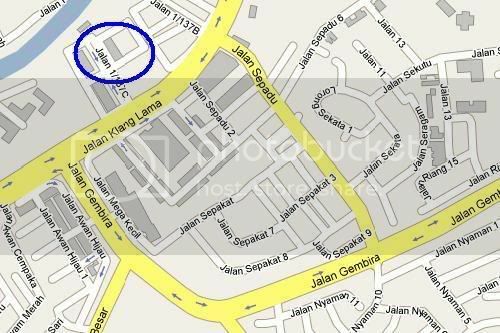 If you know the location of Wisma Elken, then you are pretty safe. Upon entering the restaurant, one could only see that there are limited table and chairs. 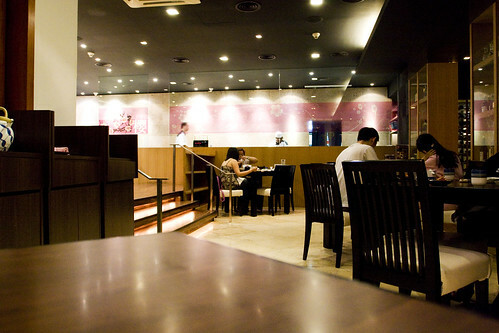 But fret not, as they do offer Tatami seats too, which is located at another side. Apart from the table settings, one could feel that this restaurant has this cosy, close-to-quiet environment, or at least that’s how I felt on that day as everybody was minding their own business. A couple of glance thru the menu, one would notice that they emphasize on quality dining experience. After all, they have already ‘displayed’ the experience via the decoration of the restaurant. 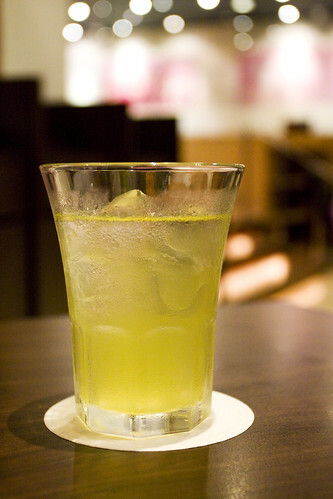 The ever favourite drink in Japanese restaurant; green tea. 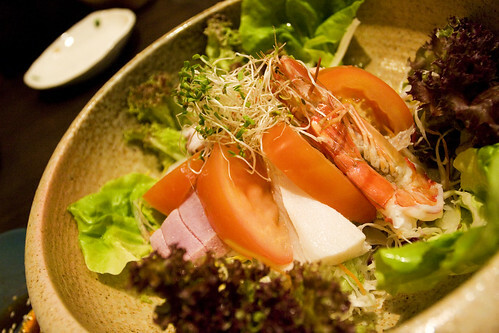 As for starter trying to be healthy here, Seafood Salad would be it. Tuna, prawns and some-other-fish-that-I-do-not-know-of, it blended quite well with the sesame sauce they provided. For health freaks out there, try this salad!! Initially, I wanted to try their Beef Sirloin. But, through recommendation / suggestion, all thanks to the waitress, and since the price is the same, I chose Teppan Beef Course Meal instead. 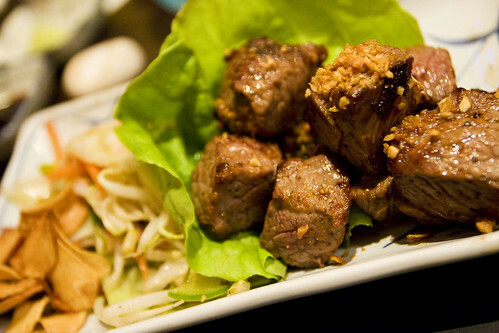 Beef cubes were pan-fried to perfection. Though it was cooked till well done, surprisingly, it wasn’t chewy-rubbery as I thought it would be. They managed to retain the juicy-buttery flavour in it. On the side, it was fried bean sprouts with sliced garlic. 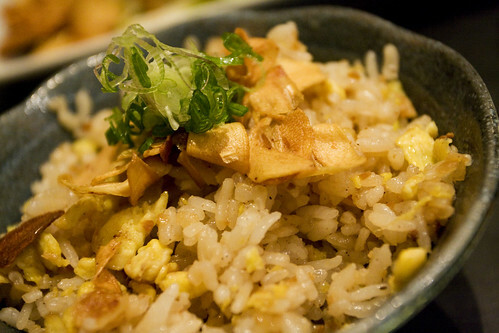 Instead of normal fragrant white rice, they gave garlic fried rice. It was good. Not that great but good. And as usual, there were salad, fruits and soup to go along with it. Apart from that, to make sure I’m stuffed, I ordered Sushi Pizza too. Funky name, isn’t it. Haha. 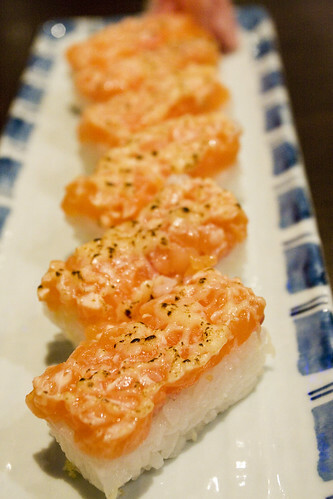 Chopped salmon with cheese sauce above, it has this slight burnt taste yet cheesy flavour to it. Apart from the slight overly wet rice, I guess it’s a good dish to try. 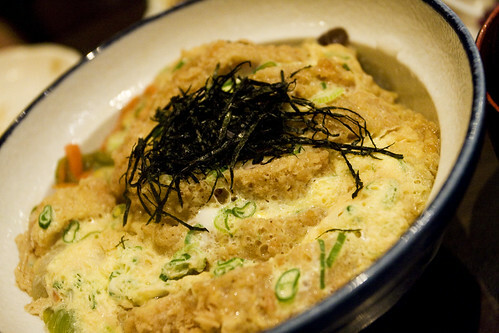 Another dish we ordered that day was Tori Katsu Don. 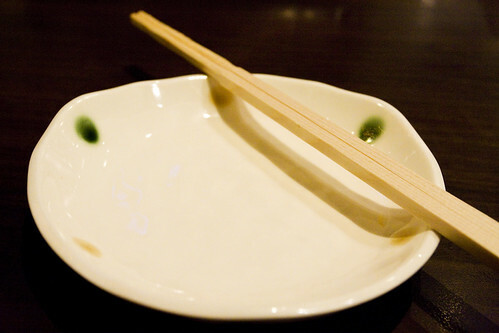 It pretty common dish, I would say, in Japanese restaurants. Underneath of the fried egg, there’s fried chicken with special sauce-soaked rice. It would great if the fried chicken was crispy but it was all good. 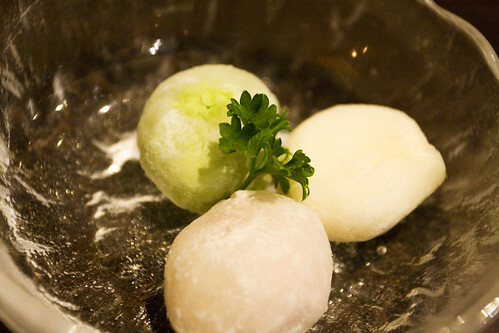 For desserts; Cream Tsutsumi and Mochi Ice Cream. 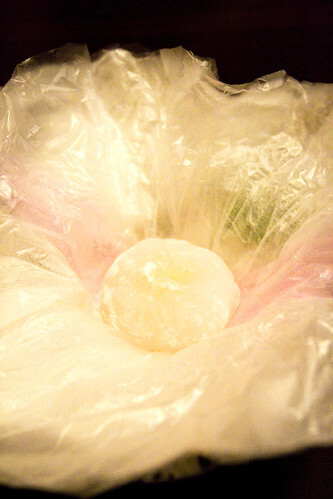 I wanted to try their Sakura Mochi but due to popular demand / hot favourite, there weren’t any left on that day. So yeah, I’ve to settle for the first two. They are awesomely cute yet awesomely little (portion wise). I could probably fit 5 of them in one mouth. Bahhh… But they tasted great. Seriously. All in all, the dinner was fine. Good service, fresh food, reasonable portion and great ambience, from my point of view, the price they charge for the food and the service is quite justifiable. 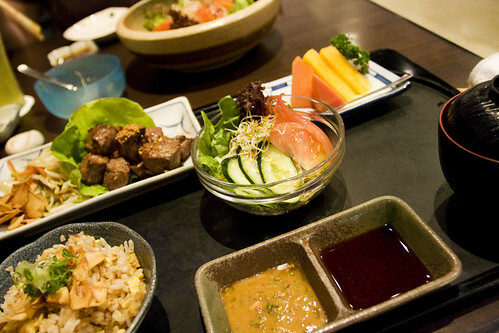 It is definitely more expensive than the ones by Sushi King and Sushi Zanmai. But hey, they’ve got a branch in Hong Kong too, if that’s if you wanna take into account as well, it shows how good they are. Oh yes, they do have Wagyu beef in their menu and on Sundays, they offer lunch buffet. haha..their outlet at Wisma Hap Seng had the buy one free one buffet thing last 2 mths..was fulyl booked all the way! thenomadGourmand : I heard about it. Hehe. so yummy! gimme the beef n the garlic rice omg! Yea, I like this restaurant since the 1st visit last year.Foods are excellent,U can try Japanese snails (depends on availability) and premium sashimi, it’s really fresh! btw,Old Klang Road branch will be better than Menara Hap Seng….